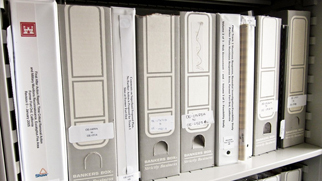 Fort Ord Cleanup documents are housed in a library called the Administrative Record. The Administrative Record serves two primary purposes. First, the record contains documents which form the basis for selection of a response action. Section 113 (j)(1) of CERCLA and general principles of administrative law, limits the courts to the use of the Administrative Record to support judicial review when the adequacy of a response action is being challenged. Second, the record acts as a vehicle for public participation, thus ensuring that the government has considered the concerns of the public during the response selection process. Guidance: Compiling Administrative Records for Superfund Response Actions: The U.S. Environmental Protection Agency’s “Final Guidance on Administrative Records for Selecting CERCLA Response Actions” sets forth policy and procedures governing the compilation and establishment of administrative records.